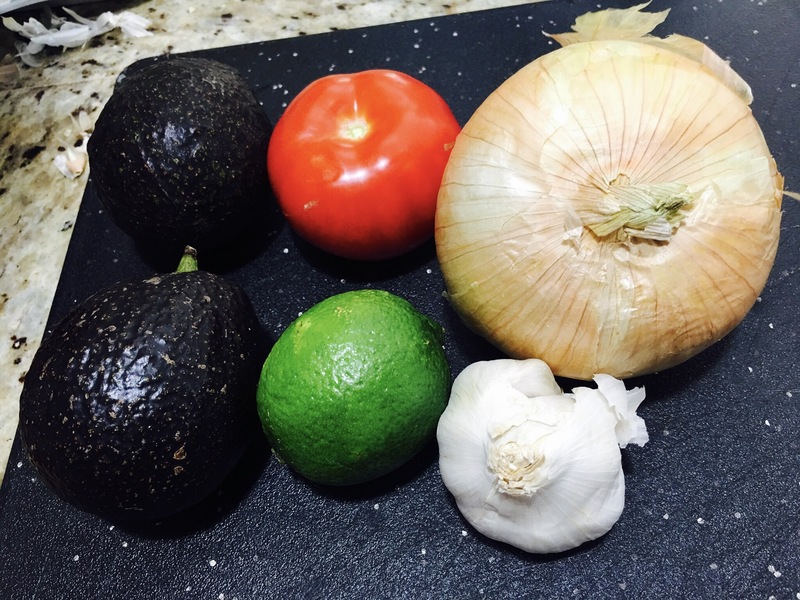 Cinco de Mayo, time for some guacamole! – Hurried Home Chef! Cinco de Mayo, time for some guacamole! 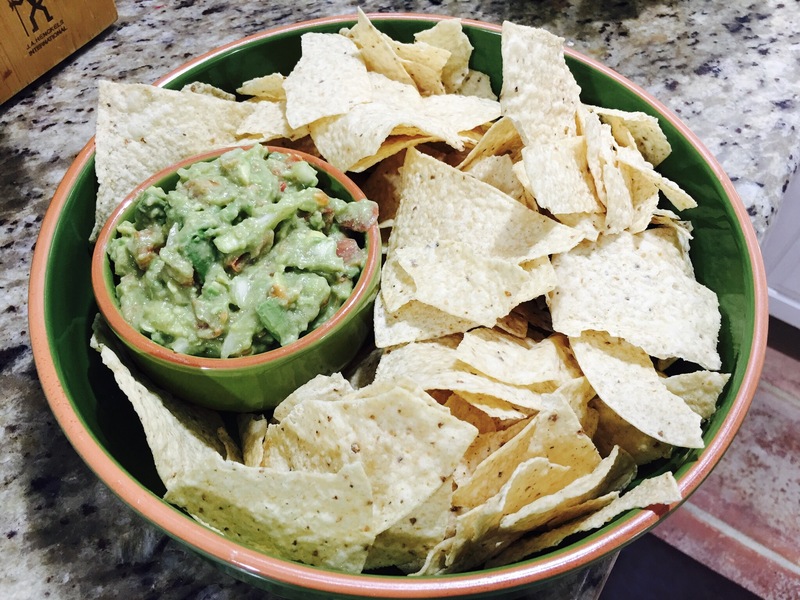 Guacamole is a California staple, so I enlisted my favorite Californian to help me with this one! We only had 2 avocados on this day, if you are making for a party, you may want to double this. Half them and removed the seeds. Add half of a ripe tomato, about 2-4 cloves of garlic, pressed. 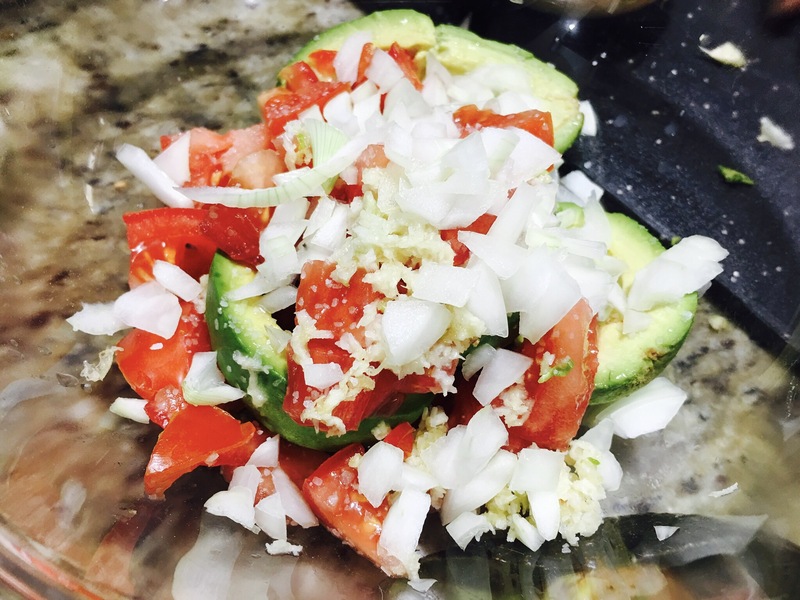 Finely dice an onion, about 1/4cup per 2 avocados, depending on your taste. Squeeze 1/2 to 1 lime. If you don’t have a fancy chip/dip bowl, consider spooning the dip back into the avocado skins and then place on a plate with the chips around. You can cut with a knife or just break up with a fork, she likes it a bit more chunky, this makes it easier to eat! Depending on your taste and crowd, you can add cilantro as well. 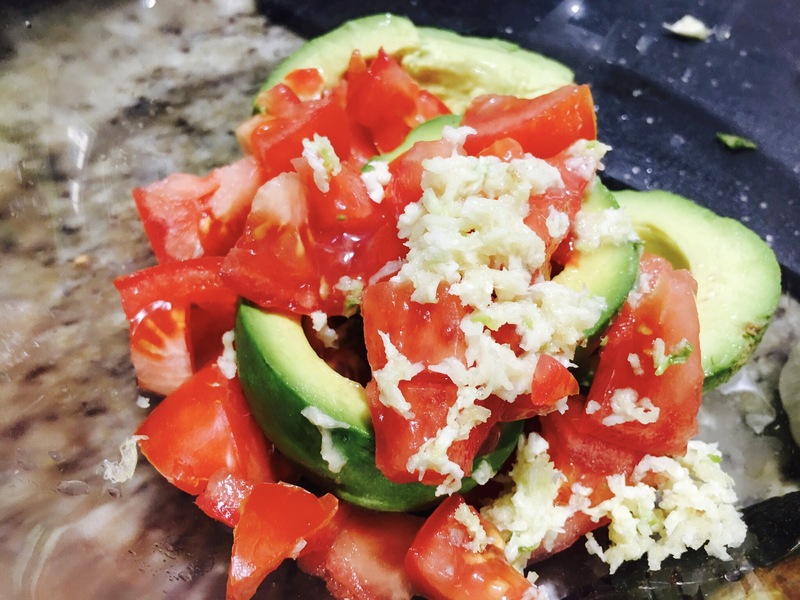 2 avocados, 1/2 ripe tomato, 1/2 a lime (juiced), 1/4 cup finely onion, 2-4 cloves of pressed garlic, salt to taste. Cilantro, jalapeño finely chopped without seeds are also optional additions. Previous Post Bacon, egg, and cheese please!